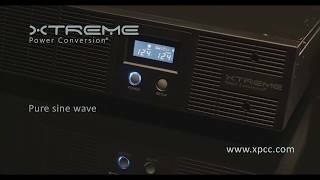 Watch us hot swap Xtreme Power R91 UPS batteries in less than 2 minutes. This R91 4U battery pack feature allows you to replace batteries without interrupting the load. 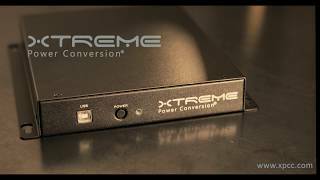 Xtreme Power J40 provides the benefits of advanced surge suppression technology in an ultra-slim form factor. Simple wall mounting, and easy access receptacles make J40 ideal for mounting behind thin display screens in used in hotels, restaurants, hospitals, campuses, airports and other commercial areas. While J40 compact design is appealing to the digital signage industry, it is also excellent for providing protection to kiosks, gaming machines, computers, point-of-sale equipment, and small printers. The J40SP provides additional benefit of remote IP control capabilities. J40SP gives technicians the ability to manage outlets including remote on/off, scheduling, and power cycling of individual outlets. 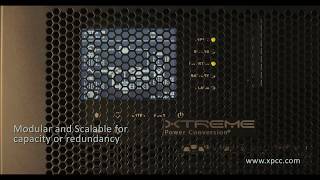 The M90 is a scalable modular online double conversion UPS that protects critical data and equipment from power problems while supplying clean and reliable network grade power. V80 is a pure sine wave line interactive UPS that protects critical data and equipment from power problems while supplying clean and reliable network grade power. 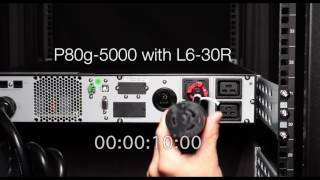 Watch and learn all about the P80 and P80g series UPS, capable of handling up to 5000VA in just 2U rack space. 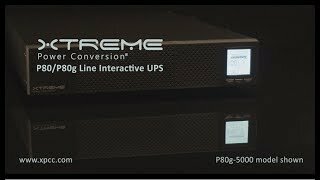 The P80 & P80g are pure sine wave line interactive UPS' that protects critical data and equipment from power problems while supplying clean and reliable network grade power. Watch us replace the modular receptacles on an Xtreme Power P80g-5000 in 10 seconds. This quick and easy feature works with the P80g and P90g models, enabling you to customize output receptacles per customer needs. 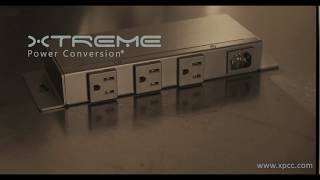 Watch us replace the batteries inside of an Xtreme Power P90 in 40 seconds. This quick and easy feature in both the P80 and P90 allows you to replace batteries without interrupting the load.